As a successful casual dining chain, Miller’s Ale House has become known as a leader in the restaurant and hospitality industry. If you have an interest in working for a successful, fun, and lively company, information about filling out a Miller’s Ale House application can be found below. With a menu full of excellent food and drinks Miller’s has steadily grown in strength and success since its opening in 1988. Founded by Jack and Claire Miller, this company began in the city of Jupiter, Florida and has since grown to include 57 restaurants throughout 8 states in the U.S. They were even named Nation’s Restaurant News’ “Regional Powerhouse Chain”. 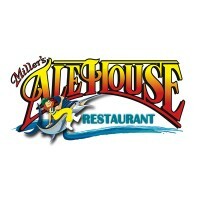 Miller’s Ale House prides itself on maintaining the values of food quality, freshness, and value. They have always strived to provide the best, fresh meals at quality prices. Operating under the mission statement “All Actions Create Ale House Raving Fans” they have truly been able to deliver excellent service since the 1980s and create an ever growing “fan” base. Throughout their company, Miller’s Ale House careers offer a wide range of possibilities for everyone. They offer in restaurant positions including servers, hosts, bussers, bartenders, line cooks, other kitchen staff, and many more. Also offered are restaurant management posts. This comprehensive list should give any potential applicant confidence that there is always a position perfect for them with Miller’s. Restaurant Support Center positions are also readily available. All locations can be reached by the telephone numbers available on their website for any enquiries regarding the company or how to apply for Miller’s Ale House online. Most Miller’s Ale House restaurants are open from 11:00 AM to 2:00 AM every day of the week. How old do you have to be to work at Miller’s Ale House? Most entry level positions require a minimum age of 17 years old. However, some positions require an age limit of 18 or 21 due the equipment used or tasks assigned. A few of the things offered to Miller’s Ale House staff are a work environment that encourages diversity and a people first attitude within the management. Advancement opportunities are also in great supply with this company. All team members are offered a 40% meal discount, medical and dental coverage, an RX discount card, short term disability, life insurance, and an employee assistance program. Managers are also offered a 5 day work week, paid vacations, and ongoing training sessions and seminars. These are just a few reasons to apply for jobs at Miller’s Ale House and seek employment with a company whose job opportunities are never ending. Server: A server will take and fill customer orders, provide excellent customer service, adhere to company standards and policies, maintain a strong knowledge of the menu, assist guests with the menu, work with other servers as a team, be timely and efficient, and complete any other assigned tasks. They must be 18 years of age and meet all physical requirements. On average, with their hourly pay and tips included, they will make $30,000 per year. Bartender: These employees are expected to provide customer service, serve alcoholic beverages, meet company standards and state alcohol service requirements, work with other front of the house team members, take and fill to go orders, handle food properly, maintain a clean bar area, and complete any other assigned tasks. Applicants should be at least 18 years old and be able to meet physical demands of the job. These associates also make around $30,000 per year. Host/Hostess: Responsibilities of this position include welcoming all guests, holding doors for guests, providing high levels of service, adhering to service standards, seating guests, answering incoming phone calls, working with other front of the house staff, assisting bussers and servers, and providing occasional backup to the bartender. They should be 18 years old and will make around $4.77 an hour plus tips. Line Cook: A line cook should maintain a clean kitchen environment, adhere to company policies, maintain proper food handling standards, have good communication skills, assist wherever needed, use equipment, clean equipment, and perform other assigned tasks. They will make around $11.50 per hour. What does hospitality mean to you? A great answer to this would be that customer service and satisfaction is the most important thing to you as a hospitality worker. Tell the manager that you believe creating a comfortable, fun environment for guests to enjoy their food is vital to the company’s overall success. What experience do you have that qualifies you for this position? The hiring manager will most likely have a copy of your resume. However, explain to them not just the positions you’ve held, but what lessons and skills you learned from those positions and how they will translate to your work at Miller’s. Why did you leave your last job? It’s important to never bad mouth a past employer. When explaining why you decided to leave/were asked to leave be sure to remain professional in everything you say. What is your favorite meal on our menu? A little research before your meeting will go a long way. Even if you’ve never tried a single meal at the restaurant, talk about which item looks and sounds the most appealing to you. How would you go about selling a promotional item to a customer? Go in to the meeting with a few sales techniques ready to demonstrate. Have two or three ways you would sell the item ready to explain as opposed to just one. Whether you are looking for a printable application for Miller’s Ale House, a direct application, or a simple “download application form” tab the Miller’s Ale House application process is easy to use for everyone. The easiest way is to apply online by utilizing the second link listed below. There you will find a search engine where you can search available openings and apply immediately. To complete the online application you will be required to search for openings, choose a position, read the description carefully and thoroughly, and then click the “apply now” button at the bottom of the page. Simply follow the provided directions and create an online profile with the company to fill out as many applications as you’d like. Unfortunately, there is not a printable application form on the Miller’s Ale House website, how visiting your local restaurant for a hard copy is always an option. Just be sure to take in a copy of your resume. Rock Bottom Brewery: See our guide for careers at Rock Bottom Brewery. Gattis Pizza: Gattis Pizza offers opportunities for both, beginners and experienced roles. Elephant Bar: Use the Elephant Bar job application to apply here. Little Caesars: Use the Little Caesars job application to apply here. Earls Kitchen And Bar: Checkout the application page for work at Earls Kitchen And Bar.